NASA Missed a Massive Asteroid, That Just Passed Close to Earth: While the world was busy doing its thing on Saturday, a giant asteroid the size of a football field whizzed by our planet. NASA scientists noticed the massive asteroid at an observatory in Arizona just a few hours before it gave Earth a surprise flyby. A mere 21 hours after that initial sighting, Asteroid 2018 GE3 came a little too close for comfort. Travelling around 106,000 kilometers per hour (66,000 miles per hour) the asteroid was as far away from Earth as half the average distance between Earth and the Moon. And while that may sound far away, in space-terms, that’s spine-chillingly close. The situation is especially terrifying when considering the sheer size of the asteroid. Once or twice a week, scientists will notice an asteroid that gets closer than the distance to the Moon. The difference is, those asteroids are usually about the size of a bus, or maybe a house. Asteroid 2018 GE3 was more like the size of Walmart. NASA has estimated that Asteroid 2018 GE3 is somewhere between 47 to 100 metres (157 to 360 feet) wide. 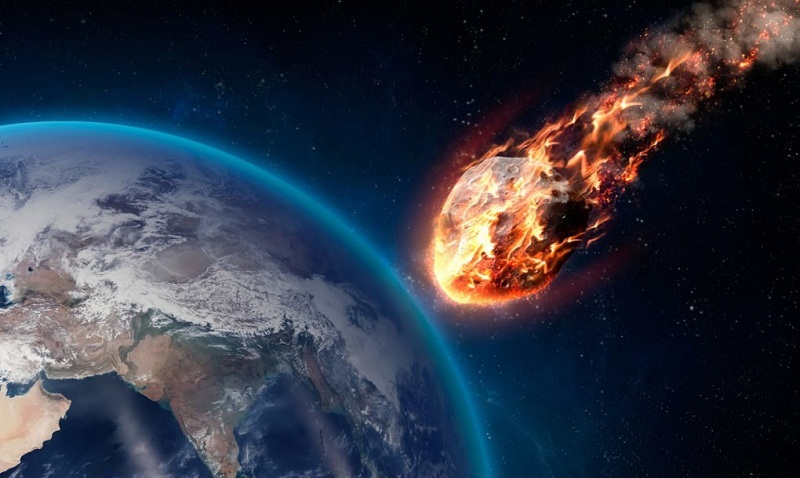 That means the asteroid was roughly 3.6 times the size of the one that cleared 2,000 square kilometers (500,000 acres) of Siberian forest in 1908. And that particular asteroid was estimated to have produced about 185 times more energy than the Hiroshima atomic bomb. NASA’s website describes the event like this: A man is sitting on the front porch of a trading post at Vanavara in Siberia. Little does he know, in a few moments, he will be hurled from his chair and the heat will be so intense he will feel as though his shirt is on fire? That’s how the Tunguska event felt 40 miles [64 kilometres] from ground zero. NASA Missed a Massive Asteroid, That Just Passed Close to Earth as Asteroids are small and dark so they are notoriously difficult for scientists to pick up. Plus, they move really quickly, which means a telescope needs to be pointed in just the right spot at just the right time to catch them. Luckily, NASA has a program for asteroid detection, although the program tends to only scan for asteroids that are 140 meters (460 feet) wide. Even at the highest estimate, the 2018 GE3 was only about three-fourths that size.